We hopped on a slow train bound for the beautiful east coast and landed inYuli in the Huatung Valley. There's a more laid back pace here and the valley bottom is webbed with trails that wind between rice fields. We had the pleasure of gobbling down some of the local fare. 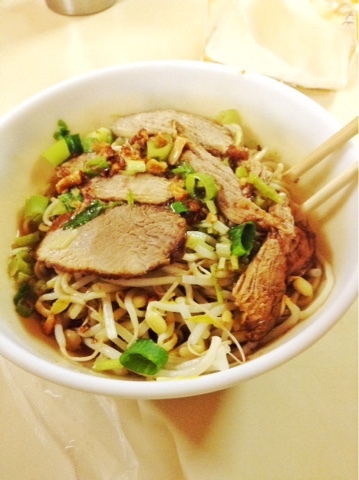 Dry noodles with tender pork slices, scallions, bean sprouts and crispy fried shallots. This plate of tidbits was for the table to share and we cleared it in a matter of minutes. 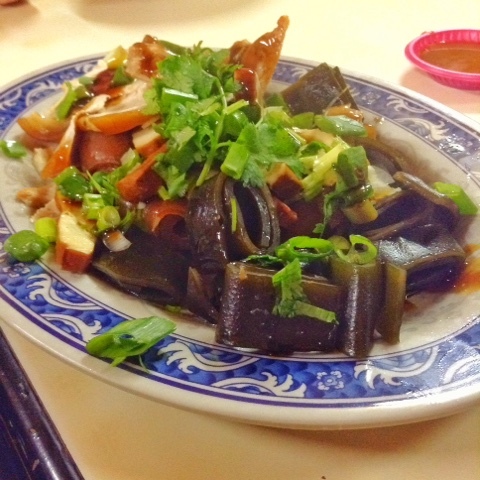 Seaweed, dried, marinated tofu, pork loin and melt in your mouth pork skin.